Oh what a feelin'.....when your hanging from the ceilin'! 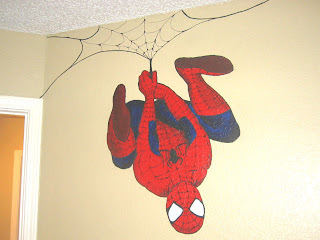 This little boy's room in now full of fun with his favorite superhero suspended from the ceiling. 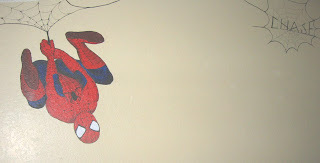 Spidey also left the little boy's name, "Chase", written in a web in the other corner of the wall. See below for more pictures!